2015 was an eventful year at Converge. One major milestone that the company reached this year was the celebration of its 35th anniversary. All employees are proud of the results of three and a half decades of hard work and dedication - 3 headquarters in 3 continents (Amsterdam, Boston, and Singapore) 22 regional offices worldwide, 3 global hubs equipped with the latest counterfeit testing, and one 3PL hub with tenured staff of 15 years+. In 2010, Converge was acquired by Arrow Electronics, a Fortune 150 Company, and today is still going strong. In the first quarter of 2015, we were happy to announce that Converge became one of the first independent distributors certified to AS6081- Fraudulent/Counterfeit Electronic Parts: Avoidance, Detection, Mitigation, and Disposition. The standard was created to serve the particularly sensitive high reliability industry. Achievements like this allow the company to verify its capability to supply the highest of quality and demonstrate it to be among the most preferred electronic component distributors, especially for OEM’s and CEM’s in sectors like medical, aerospace and defense, transportation, etc. One of the major challenges in the high reliability industry has been the obsolescence of electronic components. Converge’s proven market intelligence and valued resources have positioned the company as a strong participant in the high reliability supply chain. Going forward with the AS6081 certification and aiming to emphasize the sole competency of our company on the subject, we organized the inaugural Converge conference - “The Future of Obsolescence Management”. This event was held in Amsterdam in September and hosted over 150 international OEM and CEM companies. The goal was to bring together a cross-section of professionals from various industries and countries (expanding outside the European borders), to discuss the challenges of managing obsolescence. The “Future of Obsolescence Management” was a great success and our post-event survey indicated positive reviews. The results showed that 92% of the respondents would attend another edition of the conference and 97% would like to receive further information on the subject. In this last quarter of the year, Converge received certification to AS9120 – an SAE standard titled "Quality Management Systems-Aerospace Requirements for Stockist Distributors". This news has been widely covered by various print and online publications globally. Receiving AS9120 certification is yet another affirmation of Converge’s expertise in supplying the high-reliability market with high quality of components, but also service and support. Considering all of the above achievements, 2015 can definitely be called a successful year and we are ready for a very festive holiday season. 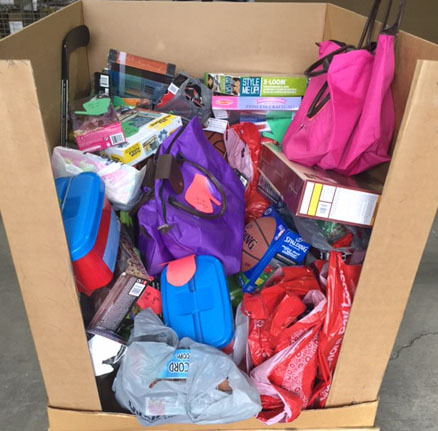 As in the past, Converge is participating in Project Uplift Toy Drive – an initiative which helps bring gifts and a smile to the face of children in need by donating Christmas presents for them. We promise to keep you updated with what the next year will bring! The entire Converge team is wishing you a joyful holiday season and a new year filled with peace and prosperity! 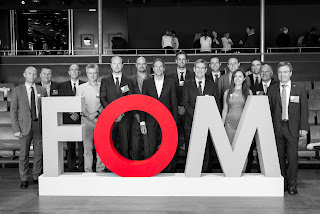 On September 22-23, Converge held its inaugural FOM 2015 conference, which was very well attended by over 150 people from over 100 international OEM and CEM companies. During the weeks following the event, we conducted a feedback survey to collect opinions on this first Converge conference in Amsterdam. Attendee feedback from the conference was very positive, revealing that 92% of respondents would attend such an event again and 97% would like to receive further information on the Future of Obsolescence Management. Those who were not able to attend definitely missed a comprehensive agenda and discussion. The following is a summary of the key highlights of the event. The event started early, on the evening of September 22, with a dinner and boat trip that received a number of positive compliments from our guests, namely for the organization, excellent food, fantastic venue, and great networking opportunities. On September 23, the delegates gathered in the historic Hermitage Amsterdam museum. The conference was hosted by the Converge regional manager for the UK and Scandinavia, Ilja Lahtinen. Taylor Moore from Arrow Supply Assurance began the day with a presentation focused on risk-oriented approaches for dealing with obsolescence. Rob Picken from SiliconExpert Technologies followed and brought attention to an often-disregarded subject – personnel and knowledge obsolescence. Next was the lead engineer of SERMA Technologies, Philippe Barret, discussing the latest trends in components testing and analysis and setting a standard for test houses and laboratories handling obsolete components. Wrapping up the morning session was Jo Vann from GE Aviation, whose presentation was focused on the subject of counterfeit electronic components and management plans that help mitigate these risks. After lunch, Stefan Studerus from Enics shared how obsolescence is being managed by EMS companies and defined the future of obsolescence management in three stages – strategy, setup, and execution. Following, Florent Capoulade from Airbus concentrated on a particular issue in the avionics industry and shared a case study of how Airbus copes with obsolescence and all other associated issues. The keynote speaker, Dr. Phil Zulueta, reviewed one of the biggest challenges of obsolescence management – counterfeit components – and presented a different method for avoiding the problem, with compelling industry certifications. The day was closed with a debate moderated by Bjoern Bartels from AMSYS, who presented audience questions to the guest speakers. The debate was very interactive and allowed all present to participate in the discussion. To learn more about the FOM 2015, the presentations, or our guest speakers, please visit our website or contact us directly to request a digital copy of our event magazine. In a previous blog post, we introduced Francois Schultz, one of Converge’s leaders in the high reliability market. 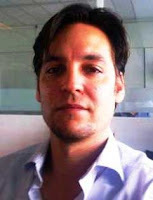 Next in our spotlight is Daniel Perret Gentil, Purchasing Manager for Converge EMEA, who will share his knowledge and insights on the high reliability market. Q: Daniel, can you please tell us a little bit about yourself? A: I am originally from Curacao, Netherland Antilles, but I grew up and attended university in North Carolina, US. I moved to the Netherlands in 2000, and now live in Amsterdam with my wife and daughter, only a short distance from the Converge office. I joined Converge in 2001, and have seen a lot of great changes throughout the years – both internally and externally – including the market landscape, which has kept me interested in the direction technology is taking us. Q: What is your role at Converge and especially within the high reliability sector? A: I started at Converge in the distribution purchasing department as a buyer, sourcing component shortage requirements in the open market and qualifying suppliers. In 2007, as the Distribution Purchasing Manager, I started working with our team to grow and expand our EMEA supplier network of franchise and independent distributors. My primary focus has been to help create opportunities for Converge in the high reliability sector, providing technical sourcing information, particularly for obsolete components, and information about the market availability and type of suppliers showing the product, potential replacements, and alternatives. I have a particular strength in passives, preferring to offer alternatives/upgrades to older parts out of the authorized channels. Q: Why do you think Converge is strong on this market? A: Converge has 35 years of experience sourcing electronic components, with a global footprint and a strong network of vendor and customer base. Our quality commitment is backed up by our Q360 quality management and inspection process, our secure sourcing, and professional IDEA-certified engineers. While we operate independently, we are also an Arrow company, which provides us with additional resources, as well as a strong financial and infrastructure backing. We can rely on resources such as Silicon Expert for data regarding product lifecycles and obsolescence management. Converge is also well-aligned with the increasing demands from the market in terms of quality standards, gaining certification of the AS6081 standard and being compliant with AS9120 (certification is pending). I feel that the combination of experienced traders, commodity managers, quality, and operations in the industry makes one’s job easier. Q: Why is there such a focus on product obsolescence? A: There are several reasons why obsolescence occurs, including changes in the market, technological advancements and upgrades, allocation, and planned obsolescence. Electronic components tend to have increasingly shorter lifespans until obsolescence compared with the applications for which they are intended. Proactively considering manufacturers’ suggested replacements on time could help prevent the cost and supply constraints once a product goes end-of-life (EOL). Converge has a unique position as a subsidiary of one of the top global distributors in the industry, while also having a network of other secure suppliers, with the resources available to track when products are going to be obsolete and a solid network and quality department to source EOL products. Q: What challenges do independent distributors face in this market? Q: What opportunities do you see? A: I see opportunities for independent distributors to rise to some of these challenges, particularly in mitigating risk from counterfeit components in the market. The changing landscape molds those that want to remain market leaders to adapt and be ahead of the curve, keeping the bar high. Q: If you were to have a conversation with a customer and he/she was asked for the three most important topics on high reliability, what would they be? Product and Supplier Reliability – Needing a dependable supply chain partner. Obsolescence Management – This involves both reactively solving ongoing supply constraints and proactively minimizing/eliminating these constraints before they occur. Quality Management System – The importance of maintaining a process of monitoring and controlling the essential activities of the business. Q: Do you have suggestions on what customers should be looking for in a supply chain partner for obsolescence? A: Customers should look for a supply chain partner with market strength, experience, and resources to support them in meeting the market’s demanding supply chain procurement needs − especially in the high reliability area. Although having certifications and affiliations is important, they should also look for a supply chain partner with a consistent, structured quality process with a team of industry-specific component engineers, inspectors, and logistics specialists who are focused on meeting customers’ needs. A partner’s quality process should have secure sourcing through an extensive, global vendor management program with established suppliers ensuring timely access to high-quality components, and also include consistent vendor monitoring and evaluations. A quality process should include a team of certified engineers and access to test facilities to test components with a disciplined approach that helps them stay ahead of the counterfeiting curve. In the end, customers must continue to demand the very best products and services from their partners. Thank you, Daniel, for your expertise and valuable insight on this hot topic! For more information about our obsolescence solutions for your high reliability needs, contact us. Converge Celebrates 35 Years as an Independent! As Americans proudly celebrated Independence Day on July 4th, Converge is also proud to be celebrating 35 years of being a leading global independent distributor of electronic components with a full service of supply chain solutions. This year especially, we have taken a moment to reflect and acknowledge other famous start-ups. Most of us may remember a very famous technology software company that was founded in 1975 by two young men in college whose idea of developing a programming language for a microcomputer has led to a multibillion-dollar company 40 years later. In 1976, two long-time high school friends who dropped out of college and became interested in electronics essentially created the first personal computer, which is now a household name branded by a fruit symbol. Much like the founders of these two very well-known technology and software companies, two salesmen (lovers of technology and electronics) met in an electronics store in the Boston area, became friends, and in 1980 realized that there was a need to fulfill components shortages in the electronics supply chain. With their vision and a mission to deliver “quality products on time,” Converge was founded. Over the past 35 years we have revised our mission to adapt to technology advances, supply chain cycles, and evolving market conditions; it’s what has made Converge, now an Arrow company, one of the leading independent distributors of electronic components still growing strong today. As an Arrow company, Converge is able to provide solutions through the product life cycle – including vendor reduction, excess inventory programs, VMI deliveries to help manage inventory and more crucially - obsolescence support. That’s why we are proud to announce our first “Future of Obsolescence Management” event on September 22-23 in Amsterdam, where we will bring together experts from each part of the supply chain to advance understanding of this hot topic. The event will also showcase how the “One Arrow” approach draws on the abilities of all the Arrow companies to deliver an integrated approach to obsolescence. We are excited about this event and look forward to welcoming you there. So as we celebrate this momentous occasion of 35 years, we would like to thank our customers for their continued business and feedback, which has allowed us to keep improving our services and maintaining that quality of product and speed of delivery in this ever-changing technology industry. There will always be a need for independents in the electronics and technology industry, and those that are committed and willing to grow and change with the industry will remain respected, successful, and strong for many years to come. For more information on our supply chain solutions or the FOM event, drop us a line. For anyone familiar with the electronics components industry, it’s no secret that the high reliability market has become much more demanding in recent years and is posing some challenges for independent distributors in this space. When the high reliability market experiences obsolescence, suppliers naturally face the challenge of not only having to provide the needed electronic components in a timely manner, but also ensuring they meet certain specifications and outstanding quality requirements. An established standardized quality program backed by industry-leading certifications is what customers look for when partnering with reputable suppliers. Converge’s proven market intelligence and sound understanding of the high reliability market equal the perfect formula for creating more opportunities and efficient participation in the high reliability market supply chain. In addition, Converge holds the distinction of being one of only a few suppliers certified to AS6081, which we achieved on February 23, 2015. In a recent blog post, we interviewed Francois Schultz, Regional Manager in EMEA with a focus on the high reliability market in this region and we will continue introducing additional experts and pioneers globally within Converge in the next series of blogs. We will provide you with more details on why we think high reliability and obsolescence management are hot topics for the industry in 2015. Stay tuned! Drop us a line for more information!